THE bravery of a First World War solider has been marked with a permanent memorial a century after he was wounded in battle. 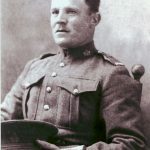 Claude Nunney died shortly after he was injured during an attack on a heavily fortified German defensive trench system, known as the Drocourt-Quéant Line, at Dury on September 1 and 2, 1918. He was posthumously awarded the Victoria Cross and became the only Hastings-born soldier in the First World War to be given the highest decoration for valour from the British Army. 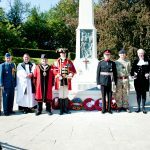 On Sunday, September 2, a special paving stone was unveiled at the War Memorial in Alexandra Park, Hastings by the Lord Lieutenant of East Sussex, Peter Field, as a reminder of Claude Nunney’s bravery and sacrifice. Claude Nunney was born in 1892 and lived in Bexhill Road, St Leonards-on-Sea. 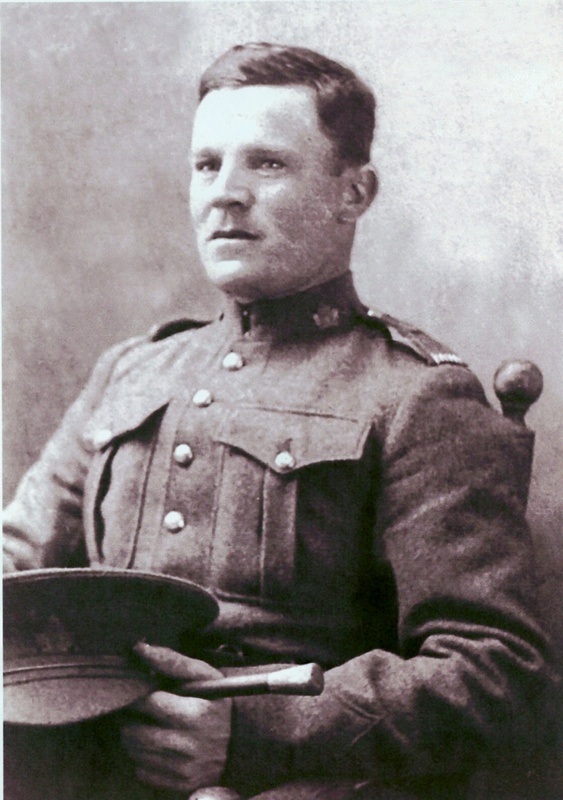 Following the death of his mother, Claude and his siblings became “Home Children” in Canada where, at the age of 23, he became one of the very first to enlist in the 38th Canadian Expeditionary Force. He was recognised several times for his bravery during the First World War – earning both the Distinguished Conduct Medal and Military Medal in 1917. During the attack in Dury in September 1918, Private Nunney encouraged his comrades to victory under heavy enemy fire. His “fearless example”, reported the London Gazette, “undoubtedly helped greatly to carry the company forward to its objectives”. Tim Nunney, Claude’s great grand-nephew, made the journey from the Isle of Sheppey with his family to attend Sunday’s ceremony where he read ‘In Flanders Field’ – a poem written by Canadian army physician and poet John McCrae. Speaking after the unveiling, Mr Nunney said: “The Nunney family are all very proud and it has been a great honour to take part in such a moving ceremony. Readings were also given by Captain Yvan Shanks of the Canadian Defence Liaison Staff in London and Master Corporal Matty Ford, who had previously served in the Cameron Highlanders of Ottawa. 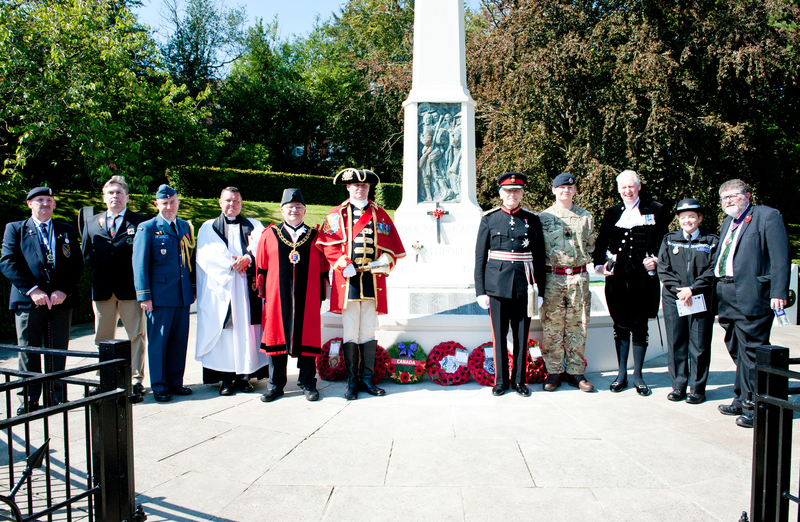 The ceremony, organised by East Sussex County Council in partnership with Hastings Borough Council, was also attended by Major General Moore-Bick – the county’s High Sheriff and Cllr Peter Pragnell – Chairman of East Sussex County Council. Wreaths were laid by representatives of the Hastings branch of the Royal British Legion and the Royal Sussex Regimental Association. The unveiling of the Victoria Cross (VC) paving slab was part of a series of commemorations of VC holders from East Sussex held to mark the centenary of the conflict. Commemorative paving stones are issued by the Ministry of Housing, Communities and Local Government as part of the First World War centenary initiative. This entry was posted in Governance Services, History on September 3, 2018 by karenb.